Here is a little quick snack to get you aligned! This should take you around 3 minutes max. Let’s set up our module. 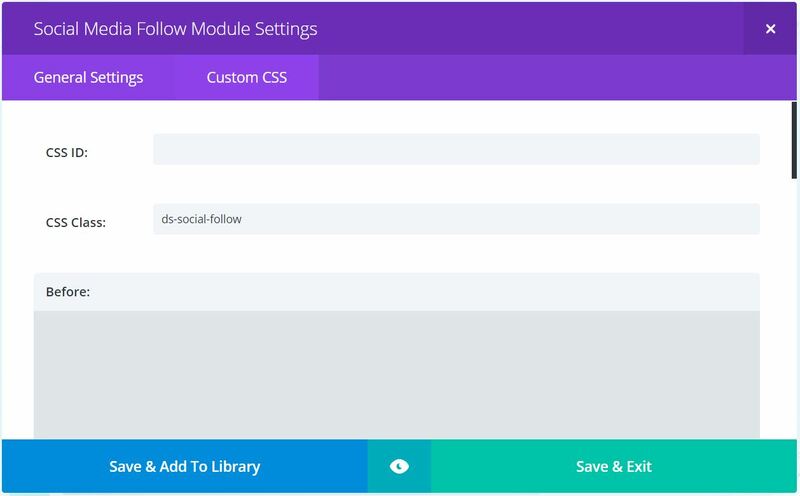 Add a new row to an existing or new section and then add the Social Media Follow module. Next open up the module settings and add the networks you want to use and change any of the other options you want to. 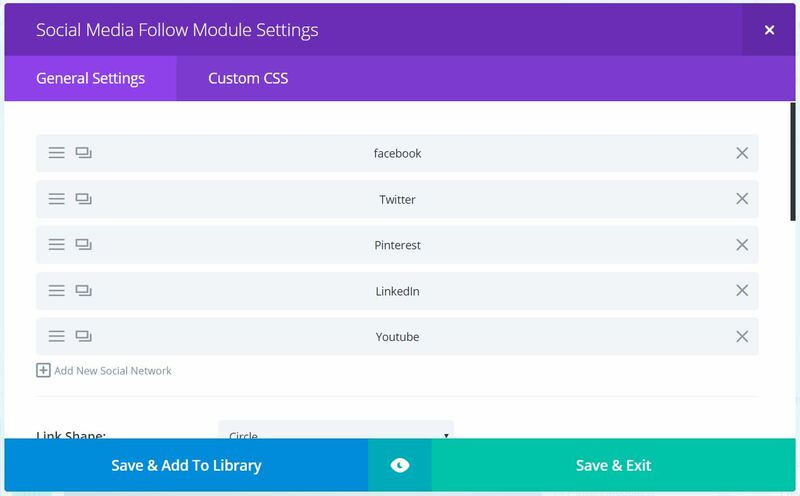 Click on the Custom CSS tab and add a custom class of ds-social-follow, then Save & Exit. Let’s center align those icons. 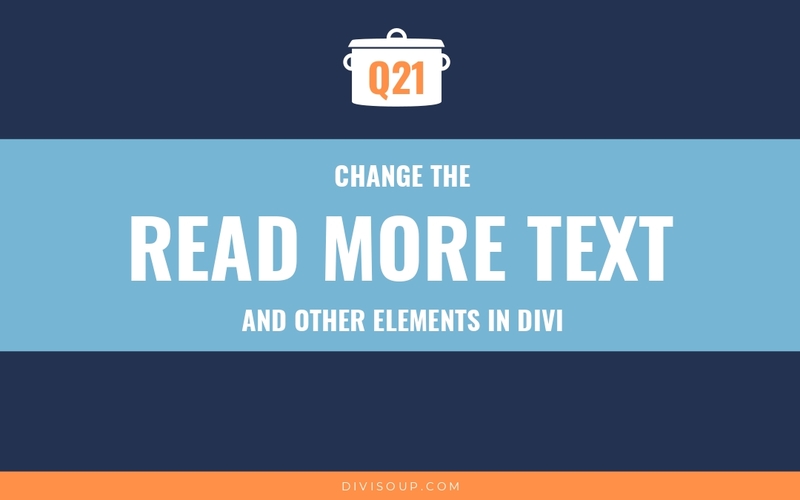 Copy the following CSS and paste it into your child theme stylesheet, Divi Options custom CSS box or the page specific CSS box. Hi Michelle! For some reason, when I add this code, 3 of my social icons are in alignment with one another but the 4th one is dropped down a bit. Any idea why? Hi Michelle. Love your tuts. They’ve helped SO much! Question: I’m trying to find out if there is a way to center the + icon on the toggle module? I can’t seem to find an answer so I thought I’d ask you! The effect I’m aiming for is to have a simple + icon (with no title) that is expandable underneath a row. I don’t see the custom class applied to that module so the code won’t work. Perfect ! Exactly the solution I was looking for. Yes, when you add you icons via the module you can choose a colour, the default is the brand colour for the chosen network. Thanks I got it, still working on getting it above the bar menu, like you have it. But I am sure I will find a way. Oh my gosh, it worked! It took me a couple of goes to work out where the Divi Options custom CSS box was (I’m a complete newbie and still don’t know how to access the child theme stylesheet or where a page specific CSS box is) but it worked straight away. Thank you so much! it helped me a lot. Great! Works perfectly, thank you for all the awesome snippets Michelle! Ok I’ve got it working except the social media icon to the far right is dropped? I can’t figure it out. thanks. Sounds like you don’t have enough room for your total icons. Would need to see a link. I would need a link to be able to inspect the issue please. Thanks for agreeing to look into this. Unfortunately I cannot share a link to this on my website since I have my domain pointing to my old host while I work on my new version of my website. If you are really interested, I could grant you temporary administrative control – please let me know. I did, however, find a solution by changing the section width to full-width and this allowed for the two social media icons to sit at the same height next to one another. Hi Michelle, thank you so much for this – you saved my sanity on my main website – thank you!! I have a quick question – it doesn’t work on one of my sites where the social media follow module is one of a row of three modules – the module is on the right – is this because of the positioning of the module? And is there a way to make it work? Thanks again for the info. Hey Faith, I just took a look and it seems you got this working? The footer contains social media follow module and I can’t for the love of god get it to center on mobile and tablet as it resizes. The module would align to the left as it resizes. Any idea what’s wrong? Thanks in advance!